The JHL Half Rubber Show Reins are ideal for showing and dressage as they look like a plain rein but have the grip of a rubber rein. 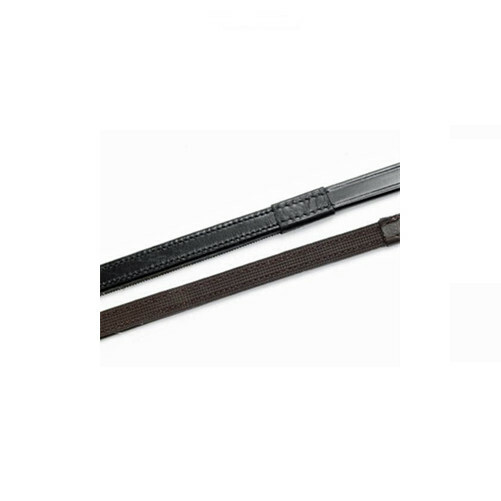 They are supplied with neat billet ends and a buckle in the hand. Pony - Width 12mm, Length 48"
Cob/Full - Width 15mm, Length 54"
There are currently no questions for JHL Half Rubber Show Reins - be the first to ask one!